A very quick post to capture this quilt top before I mark it up. I am so pleased with how this is turning out. 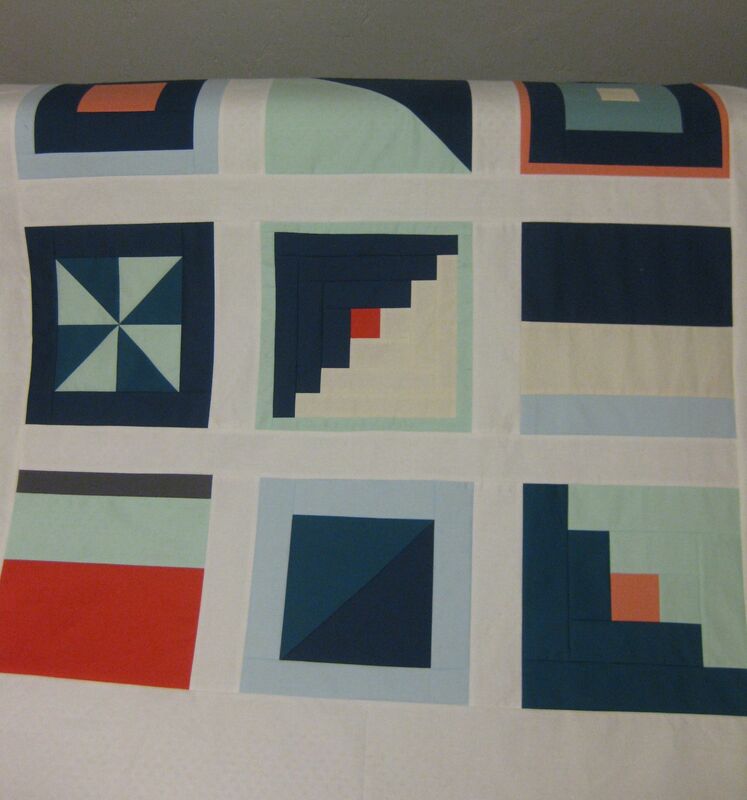 I am going to quilt in a diamond pattern, because the diagonals in the blocks will work really well with my favorite quilting design. For once I am actually excited to mark up the quilt top! I did a quick test and it looks like the squares are lined up pretty well. And the little red (actually coral) square in the center should end up with an X in the middle if all goes according to plan. I don’t usually name my quilts, but this one really reminds me of signal flags. This entry was posted in quilts on October 8, 2013 by brigitdermott. What a great quilt – I love the fabrics and simplicity of it! Great name too. Beautiful quilt. I love it. I can’t wait to see it quilted and finished. Good luck on getting your “x’ in the center square. Thanks! I’m half way done quilting–so far so good! What a fun quilt to look at! The bold, solid colors and lines are so perfect. Can’t wait to see how you quilt it! It DOES look like signal flags- very maritime indeed! Thanks! I love when a design just comes together! I love these blocks, and particularly love your color scheme! Beautiful. I hope to see a finished photo of this quilt. Well done! Thanks, Jennifer! The color scheme as a bit of a departure for me, but I love it! Great quilt! I love the simplicity of it. You’re right, they do look like signal flags – cute! I hope the quilting goes well for you as planned. Thanks, Jan! The lines did not intersect quite as nicely as I hoped (I’m ever the optimist) but I did get my X in the center so I’m happy about that! Looks like a great quilt, perfectly named too! Thanks! I was happy to find your blog through WIP Wednesday! Saw this on the WIP Wednesday link up and had to stop by. I love this, especially the coral! Can’t wait to see it once it’s quilted. Thanks for stopping by. I got the quilt lines marked and the sandwich basted last night! I am really excited to finish this one! 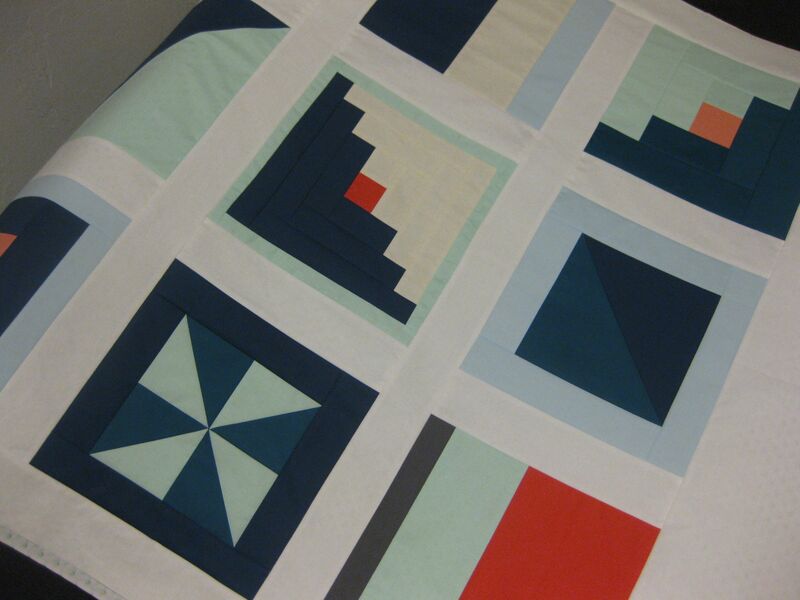 Love your solids signal flags quilt! !